When it comes to local search engine optimization, ensuring that your business is verified on Google is key. Because local search results are based largely on relevance, distance, and prominence, verifying your business increases the chances of it ranking higher in search results. Additionally, it allows you to control the information that appears across Google, including Search and Maps, and gives you the ability to interact with customers by responding to reviews, sharing photos, and viewing insights. Best of all, it’s completely free! Not sure how to verify your business? Follow these simple steps below. 1. 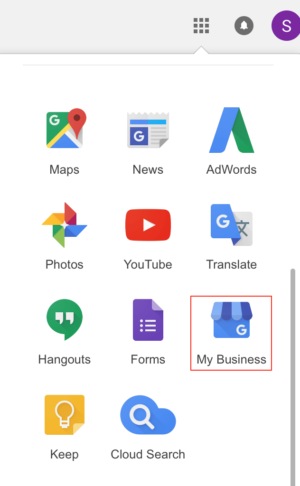 Go to Google My Business and click Start Now in the top right corner. 2. Key in your business name. Your company’s name will likely autocomplete, but you’ll still need to double-check to make sure everything is correct. If the company name didn’t appear, add in all of the necessary information. 3. Once you’ve ensured all the information is correct, click Continue. 4. If the listing has already been verified, a note will appear saying “Someone else has already verified this listing.” If you are trying to gain access, you can click Request ownership. 5. If the listing has not yet been verified, a screen will appear, allowing you to confirm you are authorized to manage the business; then click Continue. 6. You will then receive access to the listing, but you’ll need to choose to verify the listing via phone, text, email, or postcard. 7. Once you receive the verification code, enter the code, and your business will be verified. Now that you have admin access to the listing, you can make edits. To do this, go to the My Business section in your Google account. Click the grid dropdown and find My Business. We recommend that you add photos and double-check your store hours, phone number, and Category and Offerings sections to be sure the information is accurate. Within the platform, you’ll be able to respond to reviews and add blog posts. While Google is the most widely used search engine, it’s important to check other search engines to ensure your business is verified on those as well. This includes Bing, Yahoo!, and Yelp. Like Google, verifying your business on these platforms is relatively easy. Click here to learn how to complete the verification process on Bing, Yahoo!, and Yelp. Looking for other ways to increase your SEO? Check out our blog post, Four Strategies to Improve Local SEO. This article originally appeared on The Greater Memphis Chamber SBC Big Ideas blog.